All of us have items of value that we want to be protected. However, many of these items may not be protected under existing insurance policies. Here are some items that should be added to your insurance. In some cases, jewelry may already be covered under your homeowner or rental insurance policies. If they are not, it may be a good idea to add it. You will need to have all jewelry you want covered appraised to make sure of its value. 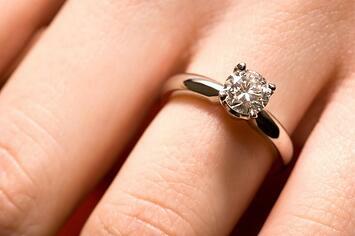 On average, insuring jewelry costs about 1-2% of its total value. Your home owner’s insurance may not cover the full value of artwork in your home if it stolen or damaged. There are two types of insurance you can use to cover art. First is Title Insurance. This is helpful when artwork that you purchased was stolen prior to it being in your possession so you don't end up with nothing when it's returned. The second type is Property Insurance which can be used for add-on for property that exceeds your homeowner's insurance policy limit. Again, this will need to be appraised to make sure that its value is accurate. Pet Insurance will help cover you if your pet has an unexpected medical emergency. The average yearly cost of owning a dog is estimated to be about $695 while a cat is $705. This means that any medical emergency could easily double or triple that cost.There are often discounts if you are insuring multiple pets, so make sure you ask during the process. If you have specific questions regarding your insurance policy and what it does and does not cover, please reach out to your insurance agent.